This year we have been really focused on engagement, learning and growing together. One of the ways that we, as a board, learn from you, our members, is through our annual survey. Every fall we launch a survey to our members to collect insight, feedback and new ideas. The more feedback we receive, the better equipped we are to shape our 2019 programming calendar in a way that is aligned to what you want and need. In what ways do you want to grow? What are you wanting to learn? Please share by taking this 5 minute survey here. And speaking of engaging, learning and growing—Our Workplace Learning Conference (WLC) is this week and it is going to be SOOO good! It's is not too late to join us! On Thursday, October 4th from 7:30am to 5:00pm we will gather together at the Lynnwood Convention Center to enjoy two keynotes, four learning tracks, afternoon breakouts and workshops and an all-day learning expo; there is something for everyone and the day is sure not to disappoint. Walk-in registration is available the morning of the conference; don’t miss out! Click HERE for more info. We have an exciting line up of offerings to close out 2018. Make sure to read our weekly email digest and check our events calendar to ensure you don’t miss a thing! 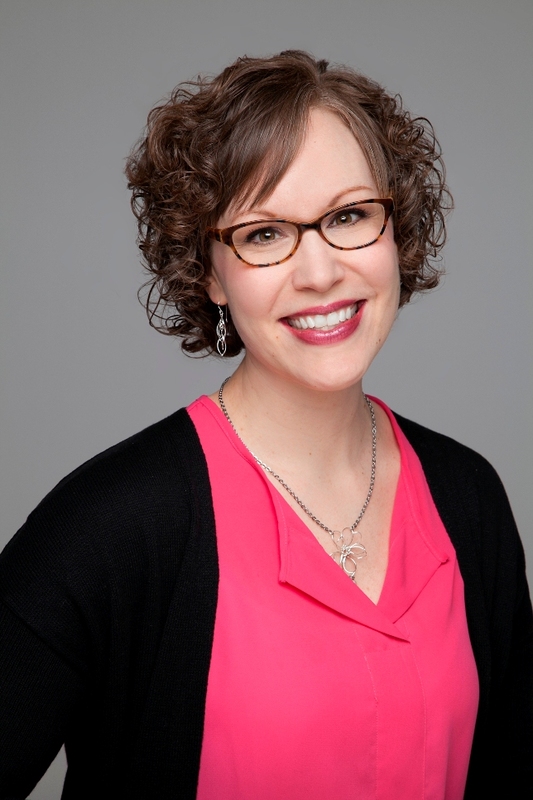 And did you know you know ATD Puget Sound has a podcast? Catch all our episodes on Sound Cloud. 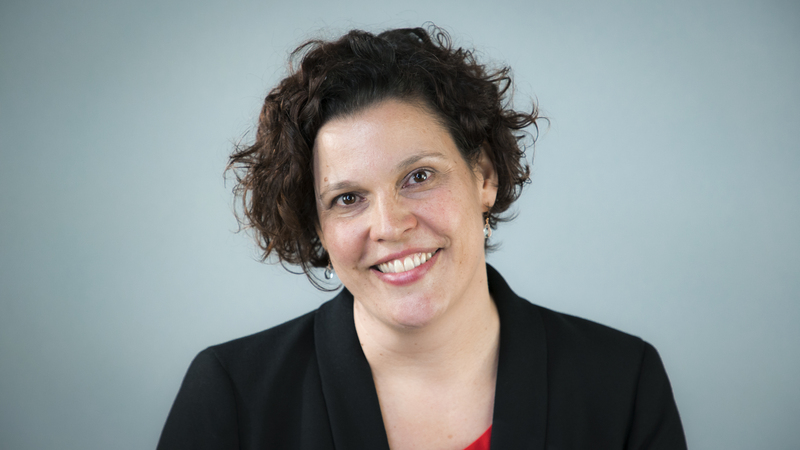 Check out the Workplace Learning Conference page for more information about this exciting day with 2 wonderful keynote messages from Summer Salomonsen and Geoffrey Colon,16 engaging sessions, a Learning Expo, networking opportunities, and much more! Do you find value in building relationships, gaining valuable professional insights and making new industry connections? Please join in adding to the collective wisdom and leadership of the Allied Professionals hosted by ATD, ICF & LWHRA. 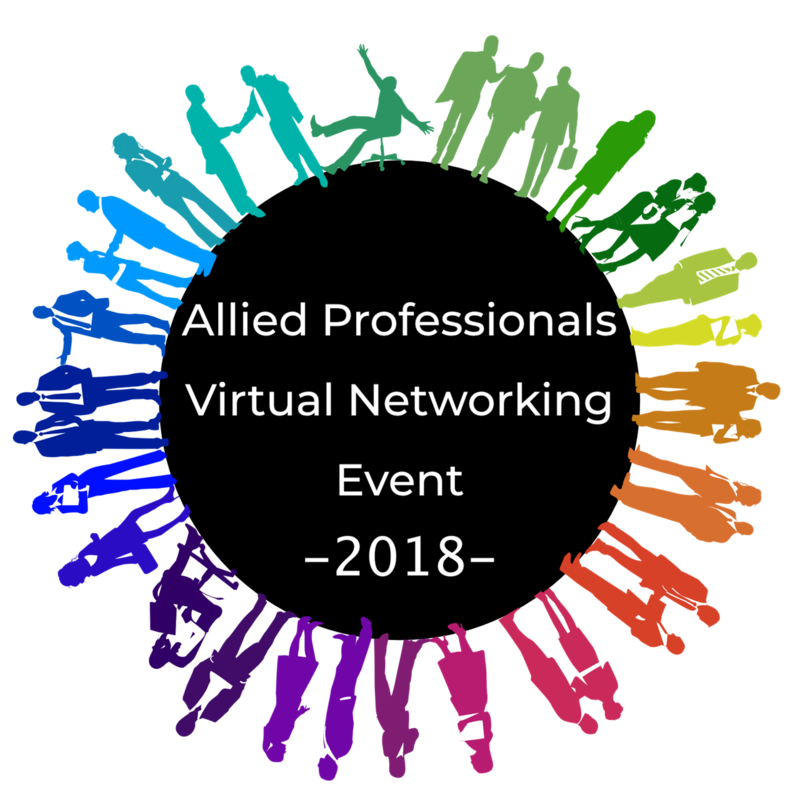 The virtual networking event is a progressive platform for forever learners seeking to build meaningful relationships, gain professional insights, and expand and inform their knowledge from the comfort of their home. The purpose of ENGAGE! 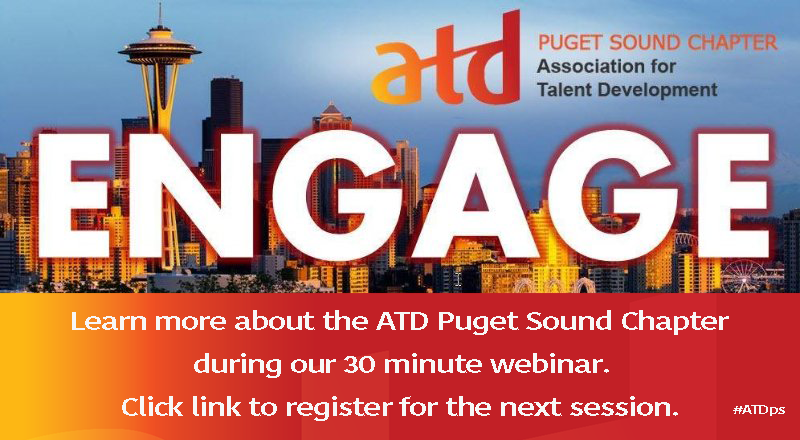 is to share information about the ATD Puget Sound Chapter and highlight ways members and potential memberscan engage with the chapter in order to meet their own personal and professional goals. There is no cost to attend, pre-registration is really appreciated here. 2018 Annual Member Survey - We want (to hear from) YOU! ATD Puget Sound is always trying to improve our game and it is time to release our annual Member Survey. Through this survey, we will be able to better quantify our programming, pricing strategies, and membership value. Armed with these results, we will work to improve resources, education, and programming for years to come. The results from the Member Survey will educate and inform the board and administration for many years. I urge you, through Member Survey participation, to influence the direction of our chapter for years to come. By completing the survey, you can opt in to be entered into a drawing for an annual membership to ATD Puget Sound – we will draw two winners. We — the ATD Puget Sound Chapter Board of Directors — ask each of our members to take the Member Survey by October 9 and to take a step forward in making our chapter the best in the nation. Click here to respond now. ATD Puget Sound recognizes Scott Melanson for his outstanding contributions as a Volunteer. In 2009 Scott served as Director of Communications for the chapter and has continued to remain involved since his tenure as a Board Member. Scott is Senior Instructional Designer at Construx Software by day and spends much of his volunteer time working with our Chapter Leaders and Management on the ATDps Podcast, a pilot project for the chapter that he has been bootstrapping with the MarComm department since early 2018 producing an average of one podcast per week and has helped lead our chapter's exploration into video production as well. 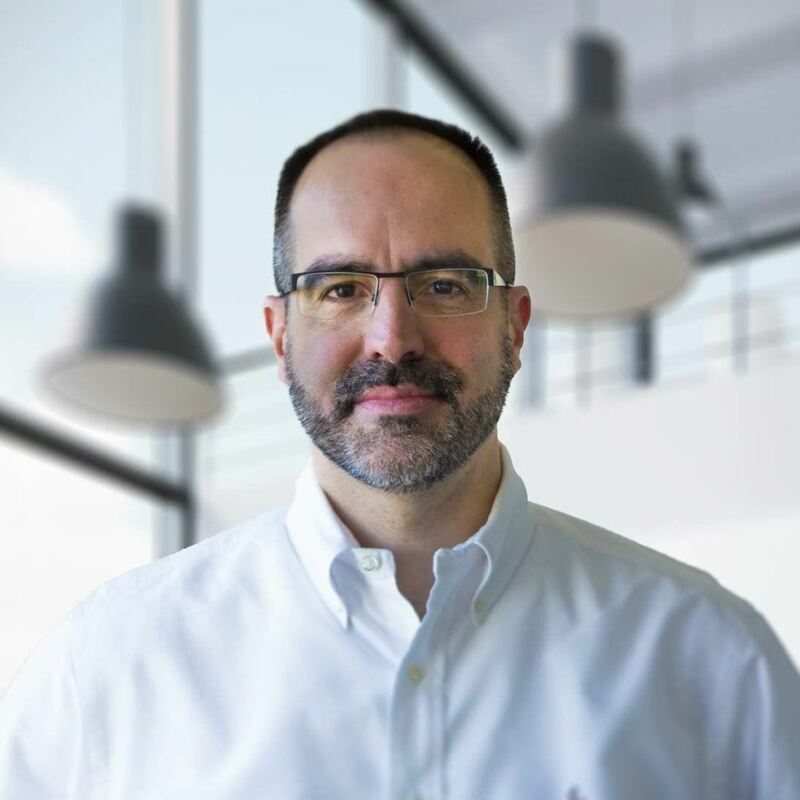 Scott is a Speaker at this years annual ATDps Conference #WLC18. Chapter members can reach our Podcast any time at www.soundcloud.com/atdpugetsound where all episodes are being permanently hosted. 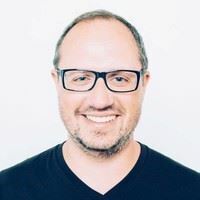 ATD Puget Sound thanks Scott for his volunteerism and the high quality of production, consistency, and positive impact the ATDps Podcast has on our Chapter. Here is to the next stage of exciting broadcast innovation for our community. Thanks for all you do, Scott!